A NASA advisory committee, concerned about delays in the development of commercial crew systems, wants the agency to look at options where the International Space Station is operated with a reduced crew. At a May 14 meeting of the ISS Advisory Committee, its chairman, Thomas Stafford, said that NASA should consider training Russian cosmonauts on key systems in what’s known as the U.S. Operating Segment (USOS) portion of the ISS, which includes elements from the U.S., Europe, Japan and Canada, in the event extended commercial crew development delays reduce the size of the station’s crew. “For years, we have observed delays after delays in the development, flight test and qualification milestones in commercial crew, and therefore we believe the current schedule is optimistic,” Stafford said of schedules that call for flight tests of commercial crew vehicles in the latter half of 2018. His committee recommended that NASA and the other ISS partners should plan for ways to operate the station with a reduced crew if commercial crew vehicles aren’t ready to enter service by the fall of 2019. One option he mentioned at the meeting is “providing training to Russian crewmembers on the USOS critical systems.” That training, he said, would be provided to cosmonauts scheduled to fly to the station on Soyuz missions in September 2019 and March 2020. Stafford said his committee requested a presentation from NASA on such planning at its next meeting. 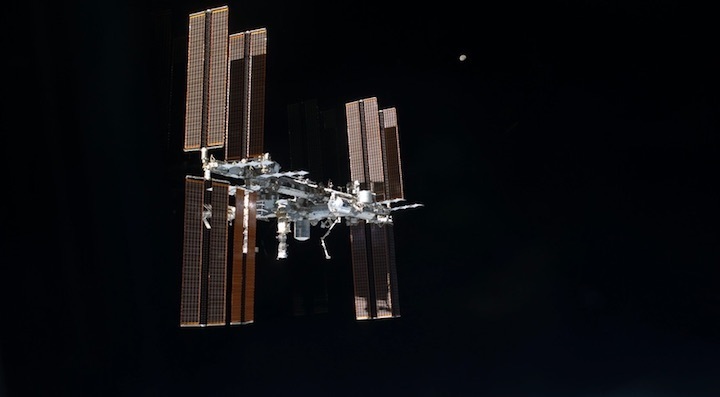 NASA spokesperson Cheryl Warner confirmed May 15 that NASA has been asked to discuss planning for a reduced U.S. crew presence on the ISS at the committee’s next meeting. The most recent public schedules for the commercial crew program include uncrewed test flights of Boeing and SpaceX spacecraft in August. Boeing is scheduled to perform a crewed test flight in November, followed by SpaceX in December. However, there is widespread skepticism that the companies will be able to maintain that schedule, with an expectation that the crewed test flights will be delayed until some time in 2019. The U.S. Government Accountability Office warned in January that SpaceX may not be certified by NASA to carry ISS crewmembers until December 2019, with Boeing’s certification potentially as late as February 2020. That has led to contingency planning by NASA given that its current, and final, agreement with Roscosmos to carry astronauts on Soyuz missions ends in the fall of 2019. NASA announced earlier this year it was considering converting the crewed test flights into ISS crew rotation missions, with the vehicle staying at the ISS for up to several months rather than a few weeks. NASA announced April 5 a modification of Boeing’s commercial crew contract to study potential changes along those lines, including adding a third crewmember. “This contract modification provides NASA with additional schedule margin if needed,” said Bill Gerstenmaier, NASA associate administrator for human exploration and operations, in a statement about the contract modification. That statement noted that current schedules offer about six months of margin for starting regular ISS crew rotation flights on Boeing’s CST-100 Starliner or SpaceX’s Crew Dragon. Stafford’s report at the committee meeting discussed other ISS technical and utilization issues but did not mention the proposal in NASA’s 2019 budget request to end federal funding of the ISS by 2025 as part of its low Earth orbit commercialization initiative. Stafford’s comments at the meeting were based on a joint meeting his committee had with its Russian counterpart in Houston in late January, prior to the release of the budget request in February, and neither he nor other committee members discussed that proposal. While Stafford raised a number of minor issues with the station, such as a gradual degradation of the station’s solar arrays, he said nothing would prevent the station from operating for at least another decade. “NASA analysis has determined there is no technical need to end ISS before 2028,” he said.